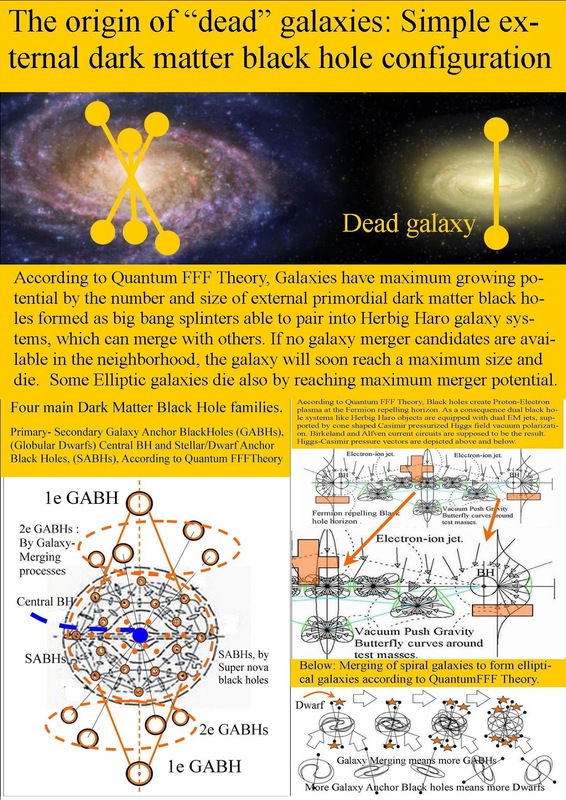 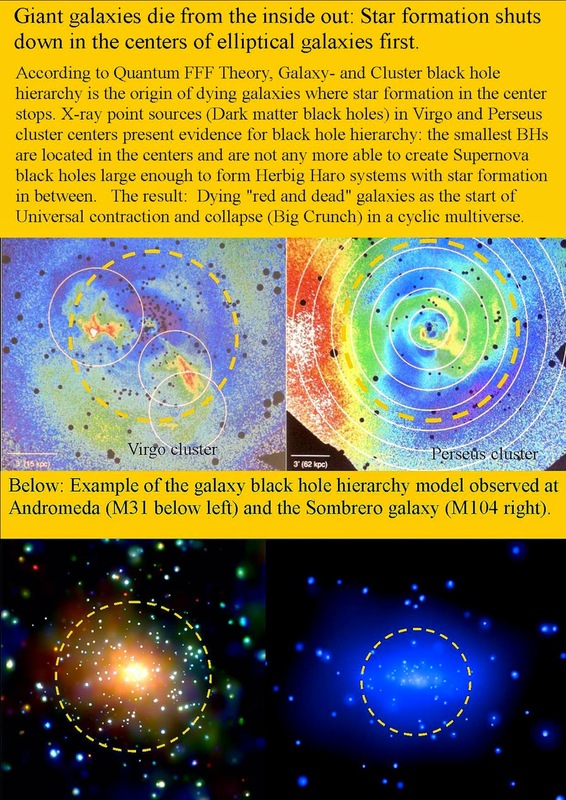 The origin of “dead” galaxies according to Quantum FFF Theory, is assumed to be based on very stable external dark matter black hole configuration with a growing internal central dark matter black hole, growing by smaller black hole mergers (not by Fermion merger mass) and absence of neighboring galaxy merger potential. According to Quantum FFF Theory, early Galaxies have growing potential by the number and size of external primordial dark matter black holes initially formed as big bang splinters able to pair into Herbig Haro star-galaxy systems, which can merge with others. "By combining the power of a 'natural lens' in space with the capability of NASA's Hubble Space Telescope, astronomers made a surprising discovery -- the first example of a compact yet massive, fast-spinning, disk-shaped galaxy that stopped making stars only a few billion years after the big bang"
Below: Poster with configuration examples of paired dark matter black holes.